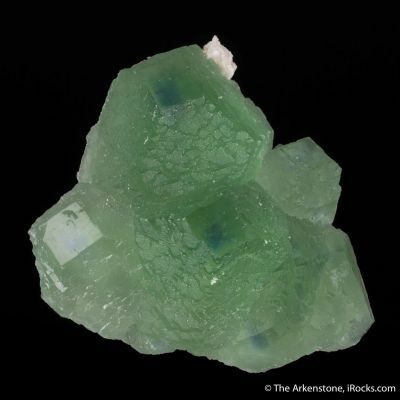 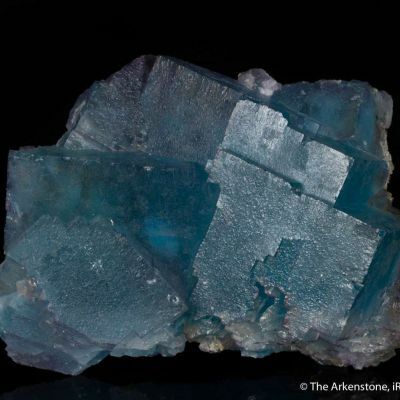 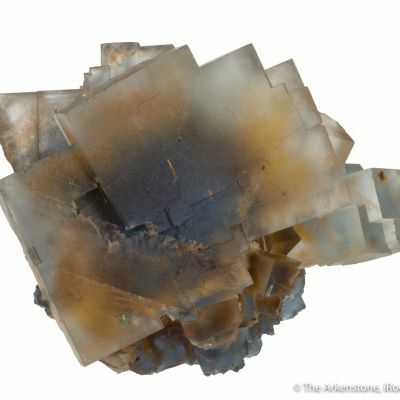 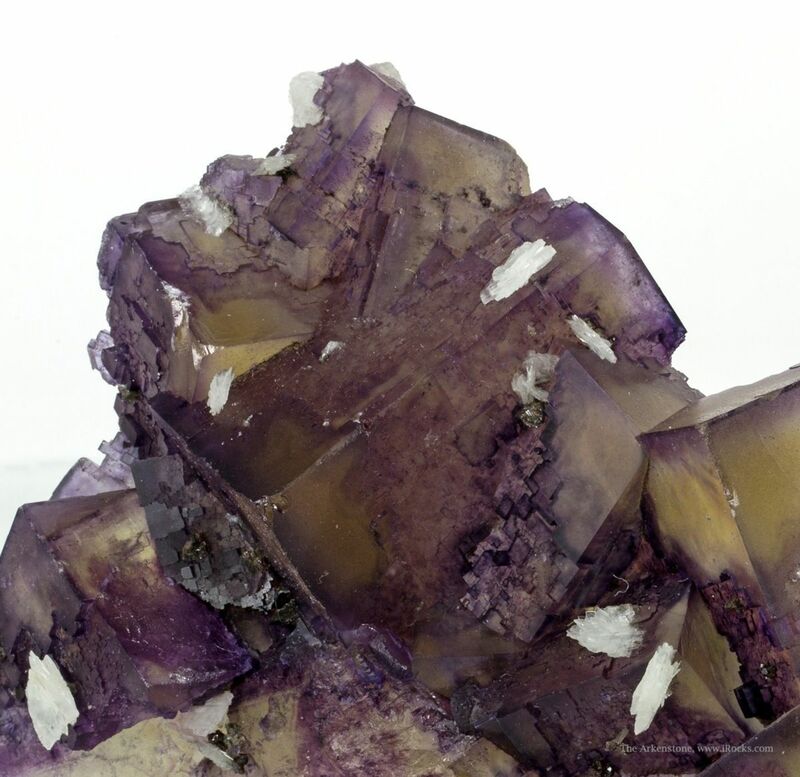 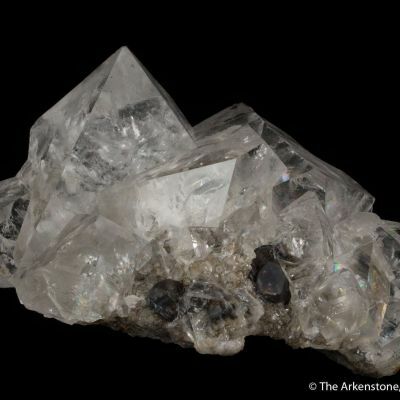 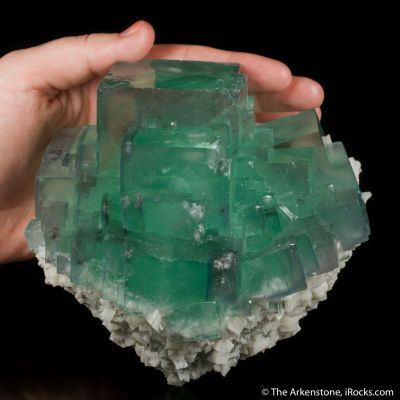 This large plate of intergrown, lustrous and translucent, bi-colored fluorite crystals to 5.4 cm across also has small tabular rosettes of white Baryte. 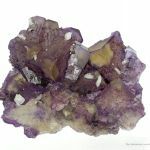 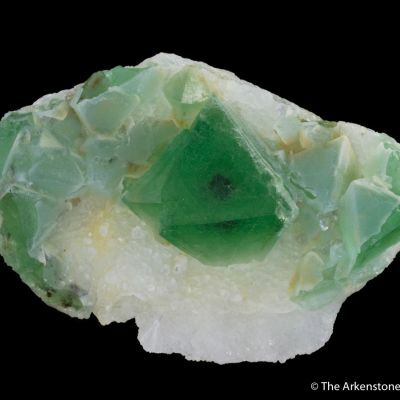 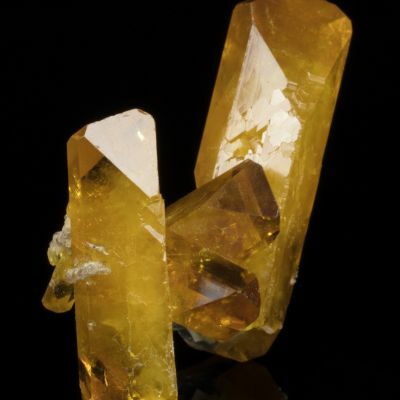 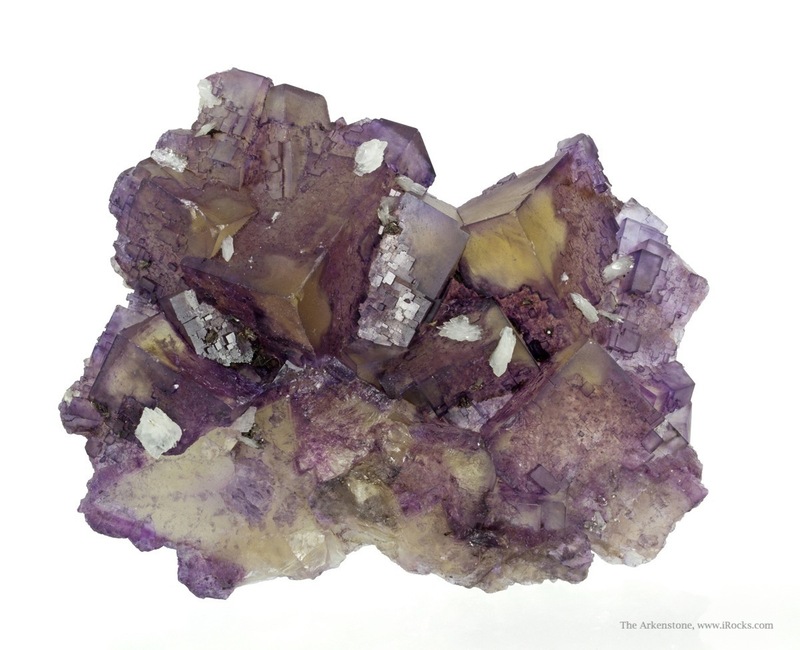 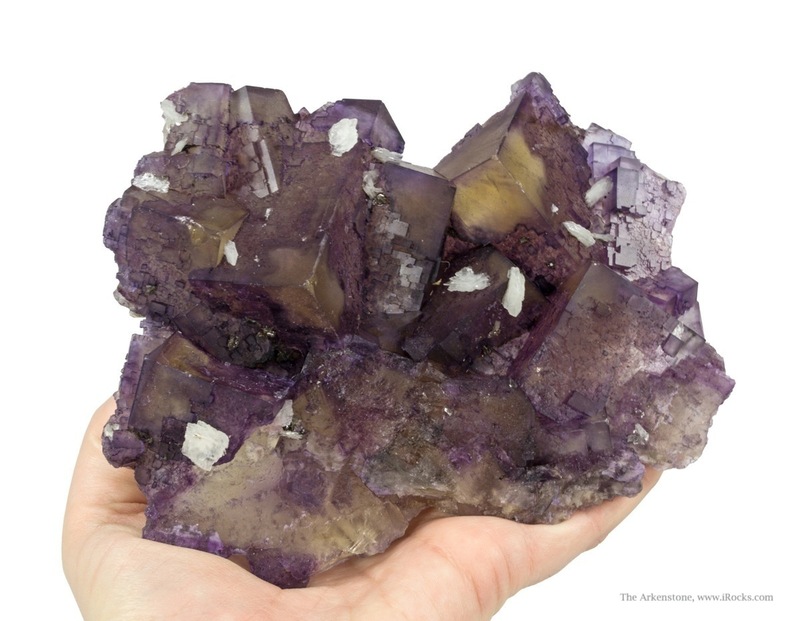 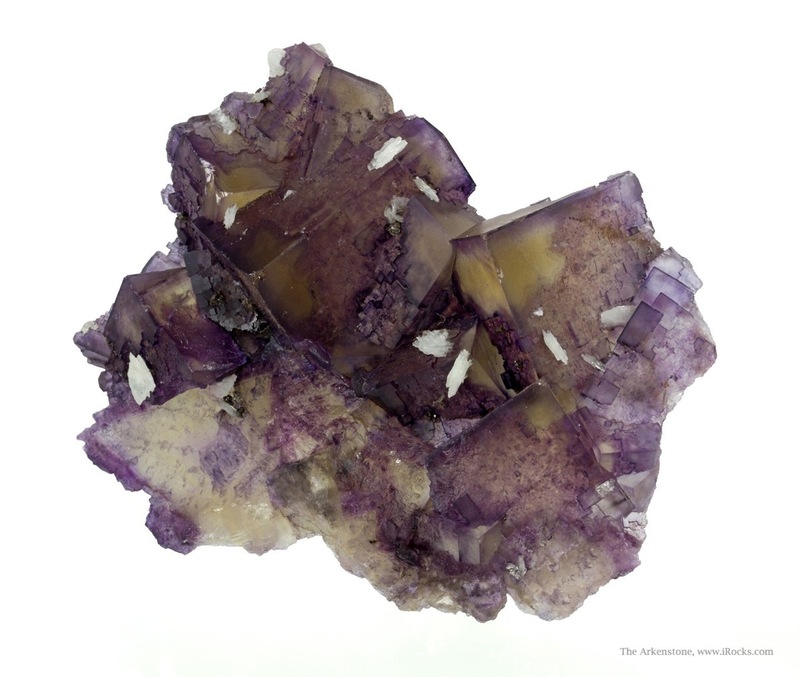 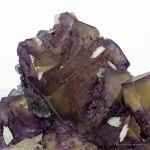 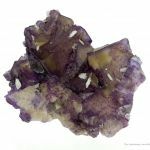 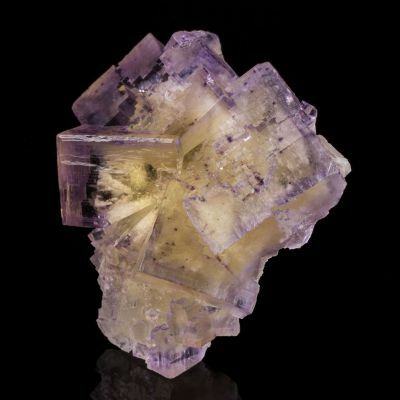 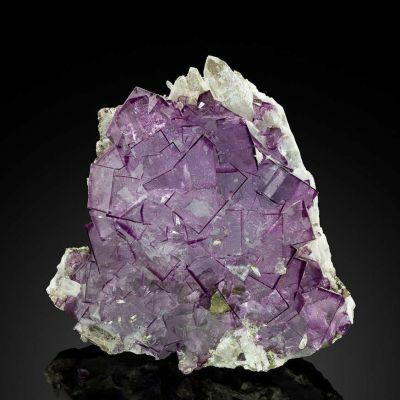 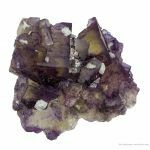 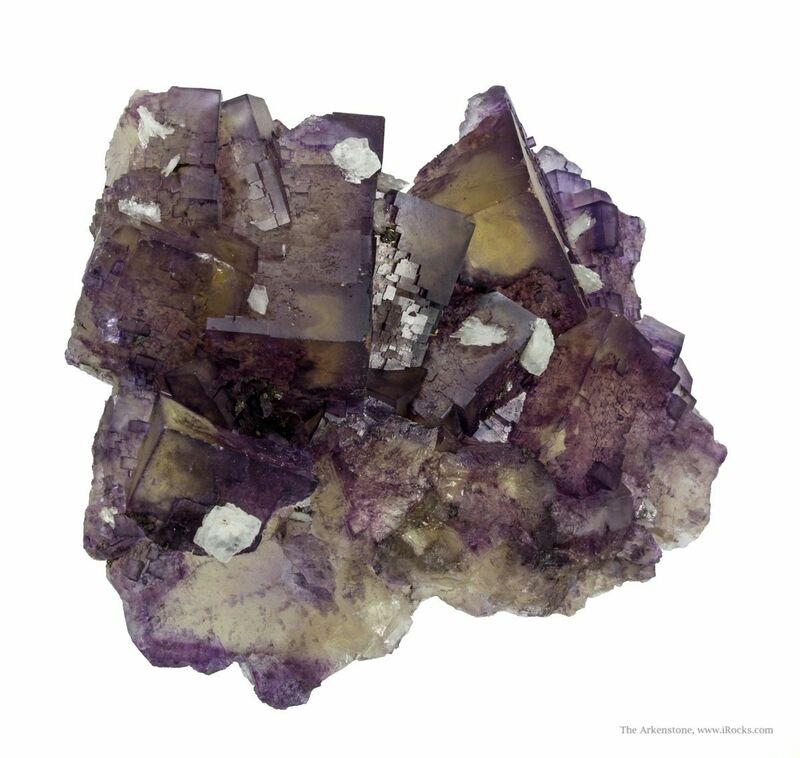 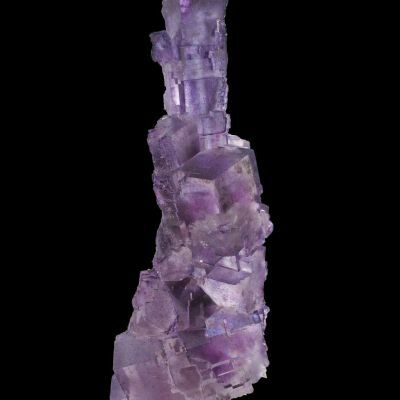 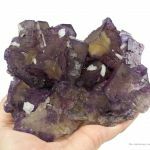 The core of the fluorite crystals is a light yellowish amber color while the crystals edges are a lovely lavender color. 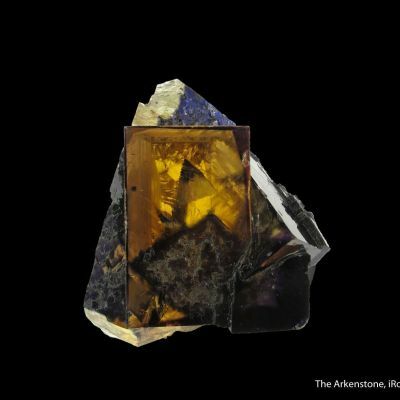 The two colors blend and shade into one another, changing subtly with the lighting. 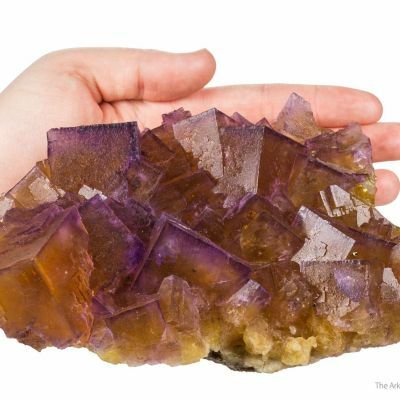 It is a fine large plate, with only a few minor dings. 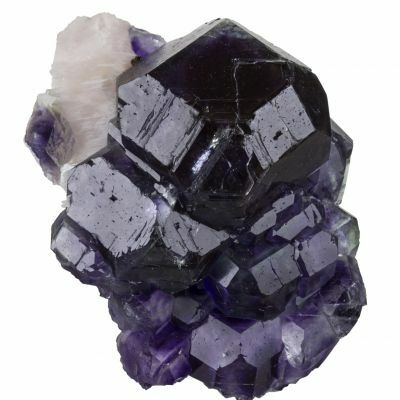 It is actually technically complete on the broad, flattish backside as well, contacted on back where it grew against a host matrix. 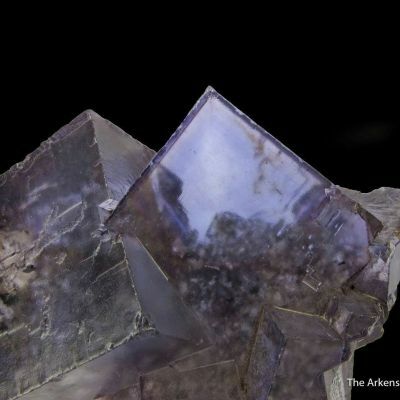 This thinness makes the piece much more easily backlit and colorful in a case than most. 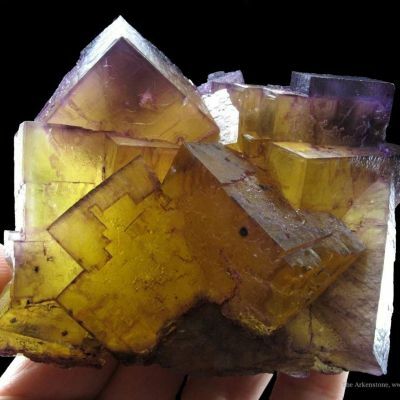 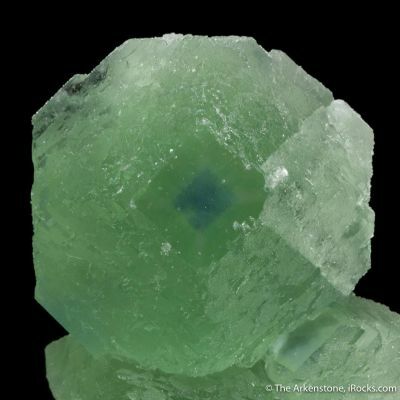 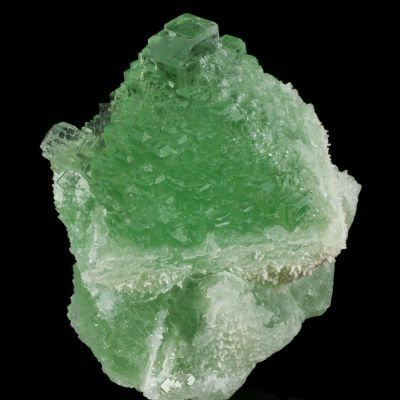 Finally, it LOOKS for all the world like an Elmwood fluorite in shape and color patterning with the more yellow corners. 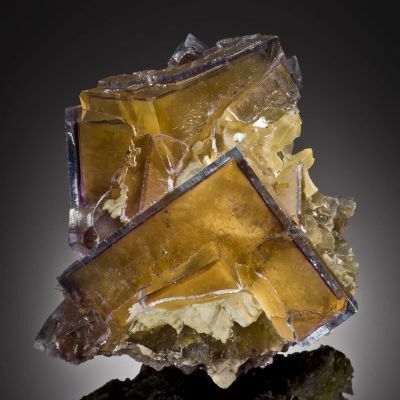 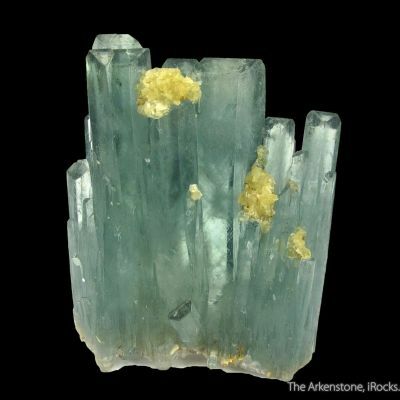 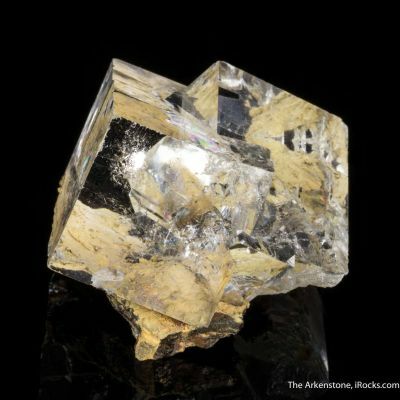 If it did not have the Baryte association (minor though it is), you'd swear this was from Tennessee.